Comedy Cavern presents Joanne McNally Joanne burst onto the Irish comedy scene in 2014 and in less than a year in the business, she became the co-host on RTÉ 2's flagship comedy show Republic of Telly, co-wrote and starred in the stage show Separated At Birth a comedy about her adoption and sold out her first ever solo stand up show in Dublin. An energetic and hilarious performer, she quickly became Ireland's fastest rising comedy star. Her one-woman autobiographical show Bite Me was nominated for multiple Dublin Fringe Festival awards in 2016 including Best Performer and Best Production and enjoyed a successful run at Edinburgh Fringe Festival in 2017. Joanne developed and presented the funny and insightful documentary Baby Hater for TV3 which was broadcast in January 2018. Her recent Edinburgh show WINE TAMER had a sell out run and received several five and four star reviews. She gigs regularly across Ireland and the UK and will be performing at the Adelaide Fringe in February 2019. 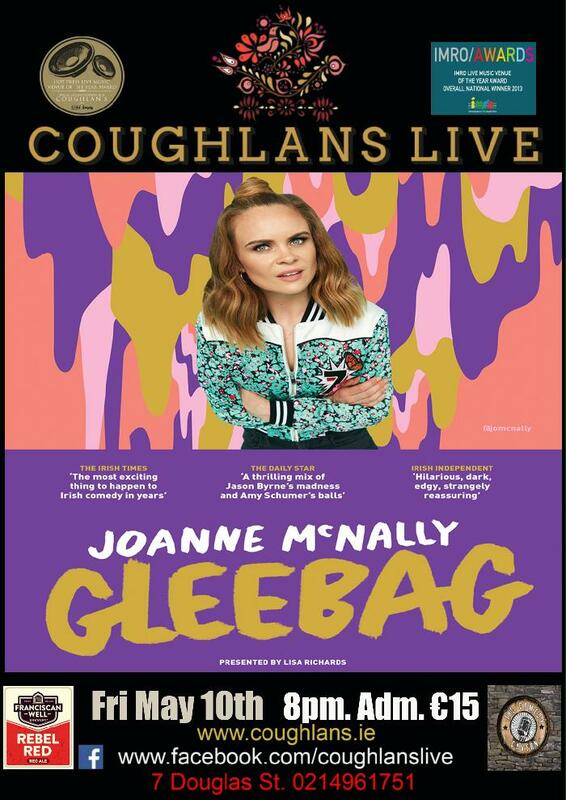 Joanne has a slew of TV credits to her name including Presenter on Republic of Telly RTÉ2 , Women on the Verge RTÉ 1, Soft Border Patrol on BBC One, The Late Late Show (RTÉ1), The Tommy Tiernan Chat Show (RTÉ1), The Tonight Show (TV3), The Seven O'Clock Show (TV3) and The Commute (RTÉ).